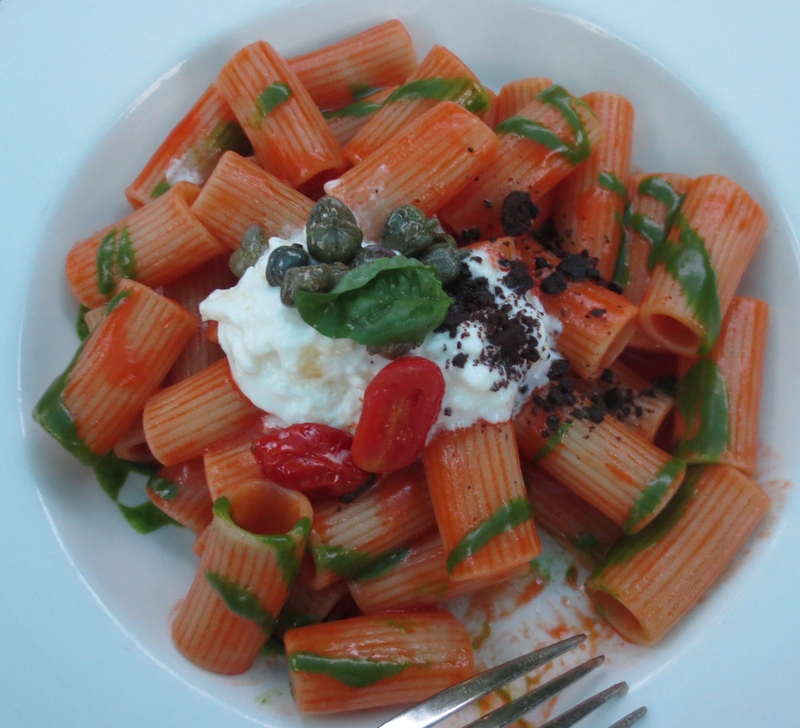 I was recently in Milan on a mainly art viewing trip, but of course one also has to eat. 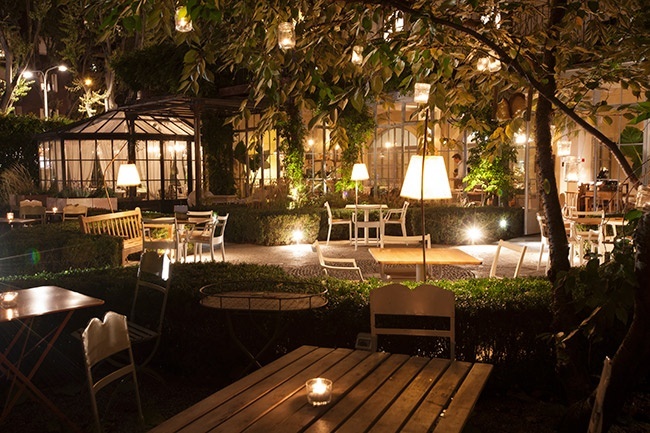 We managed to find a couple of restaurants with not only verdant gardens in which to enjoy the cool of the evening after a hard days gallerying, but amazing food too. Al Fresco was our favourite. To start we had a couple of dishes to share. 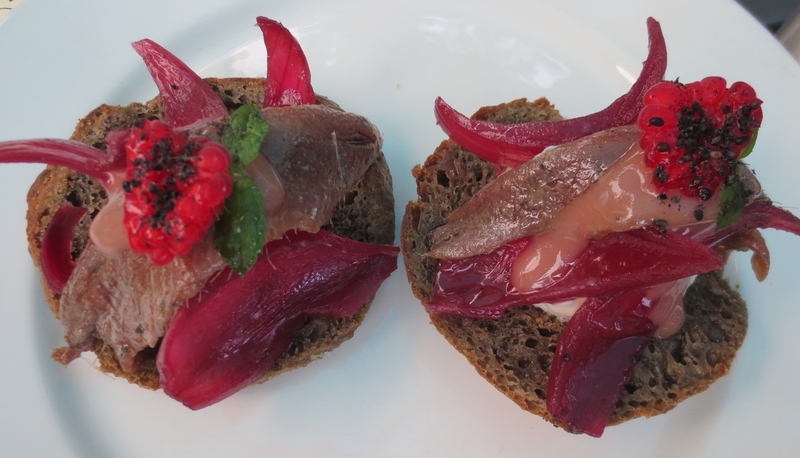 Bruschetta topped with Ricotta Cheese, Anchovies and Sweet Onions pickled in Raspberry Vinegar. 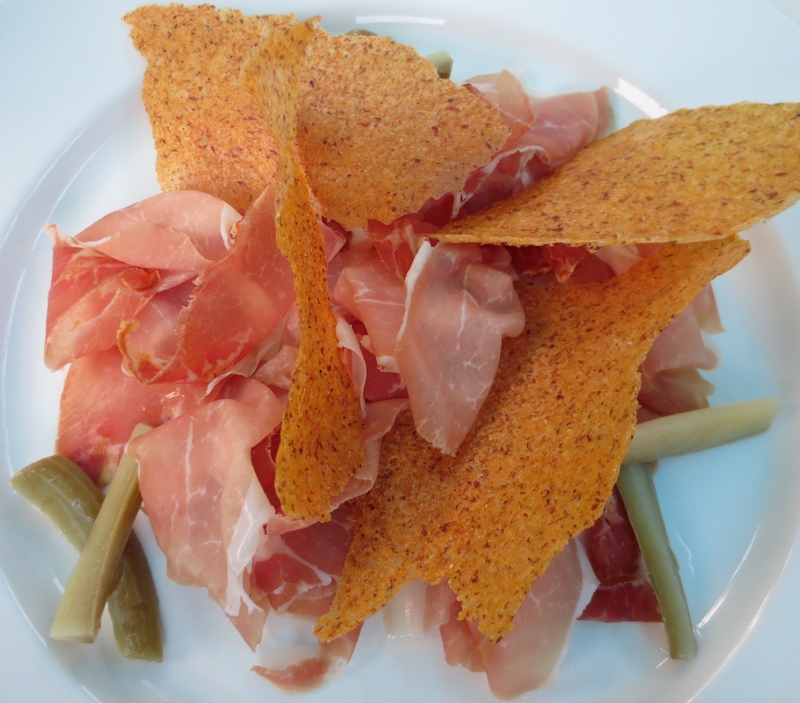 A plate of the most tender Parma Ham served with Polenta Crispbread and pickled courgettes. 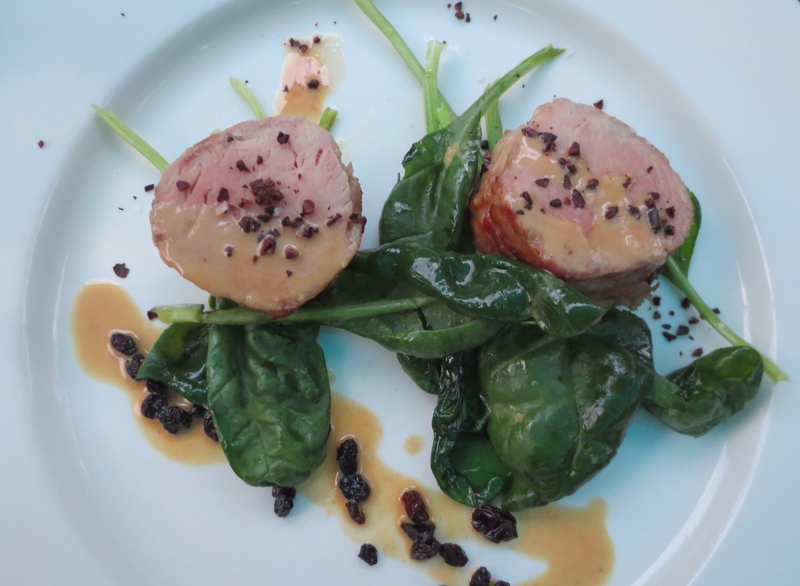 Pork Fillet cooked with Marsala Wine, Spinach, Pine-nut Cream, Pantelleria Raising and Lambrusco Vinegar……. 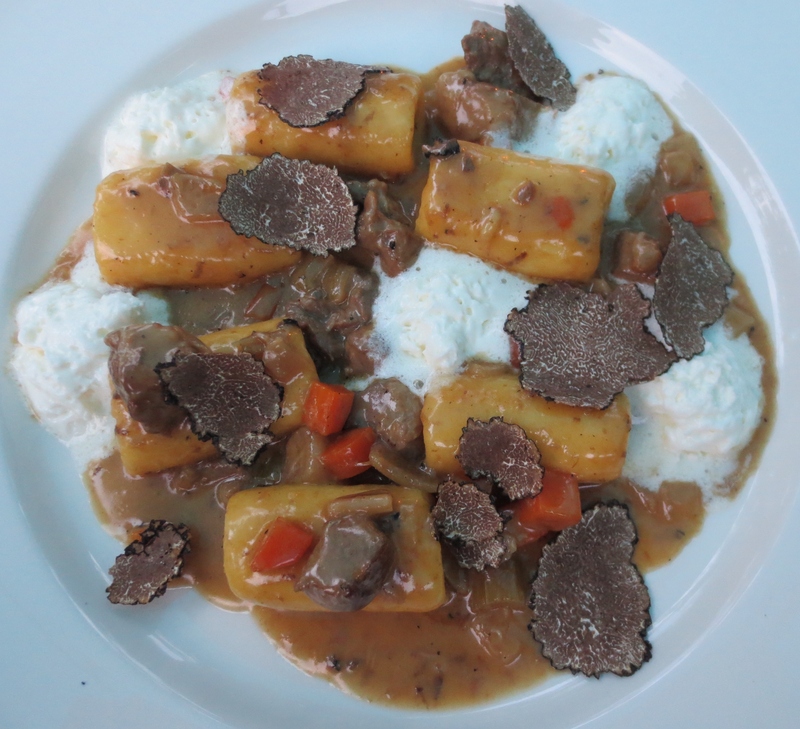 I will leave it to you to formulate and experiment with recipes for these dishes. Should I have a go myself and achieve success, you will be the first to know. Looks and sounds a lovely address. Thanks, it’s noted for my next Teatro alla Scala visit!